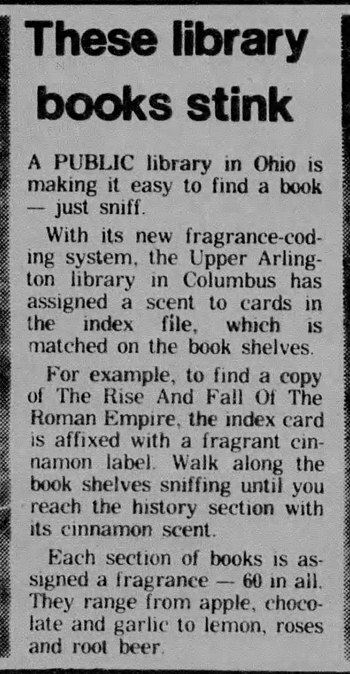 Crossword puzzles first became a fad in the 1920s, and immediately created a problem for libraries as puzzle devotees thronged reading rooms, putting a strain on library services, wearing out the various reference books, and generally being a nuisance to regular patrons of the library. 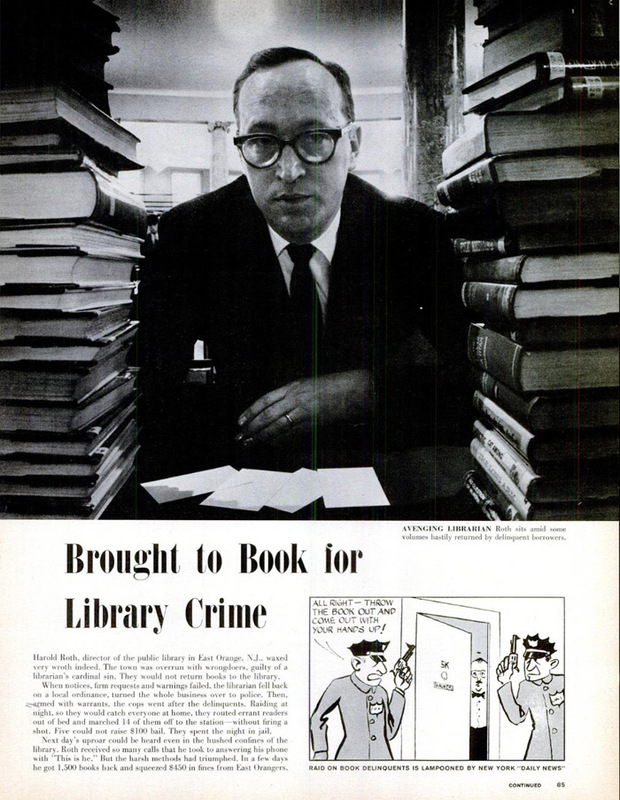 In February 1961, Harold Roth, director of the East Orange Library in New Jersey, made news by having arrest warrants made out for 14 people with overdue books. The degree of overdueness ranged from four months to one year. But what really attracted attention was the manner of the arrests. 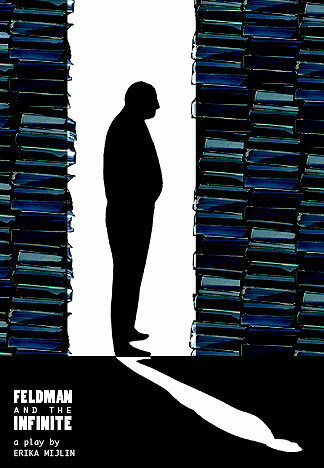 The police showed up at many of the houses around midnight to rouse the scofflaws out of bed and drag them down to jail. 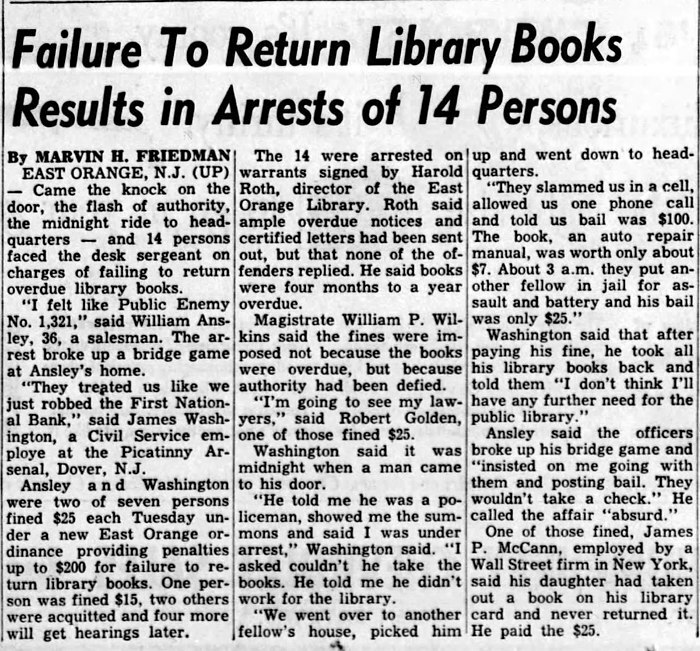 I think this 1961 case remains the largest mass round-up of people with overdue library books, but people still occasionally get arrested for not returning their library books in a timely fashion. 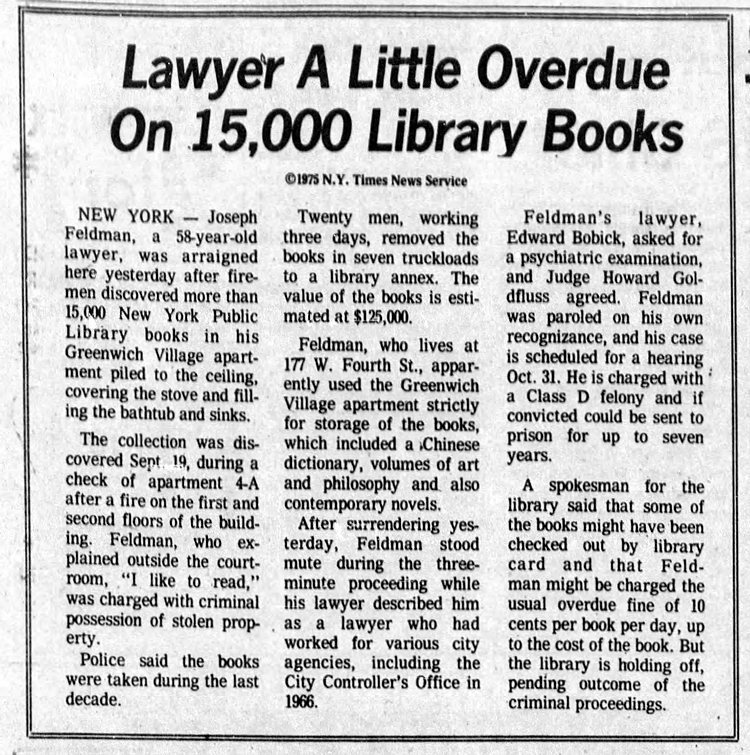 The site publiclibraries.com has an article about "Jail time for overdue library books" that lists some more recent cases. This video is pretty weird on its own terms. 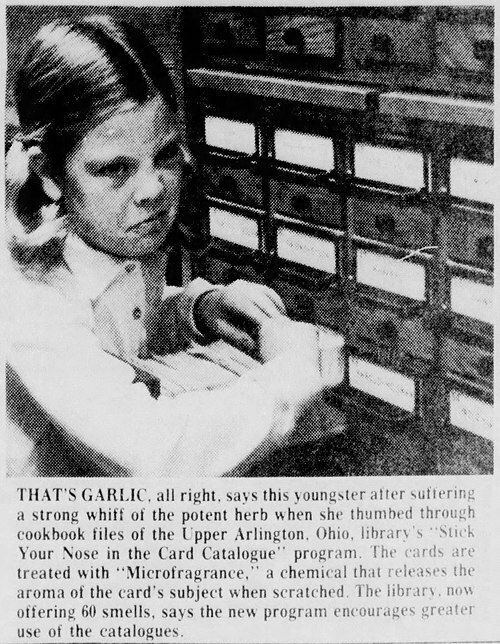 But an added strangeness: all the manipulated images are "found art" from the Library of Congress.